Fiberglass Flagpole was put in just in time for Fathers Day!!! Here is a before and after photo that was taking. If you are not sure what to get to give to your Father, let Flag-Works help you. Visit our website or come into our retail store either way we are here to assist in anyway. This entry was posted in Fiberglass, Flagpoles, Uncategorized and tagged 20' Fiberglass Flagpoles, 25' Fiberglass Flagpoles, 30' Fiberglass flagpoles, American Flag with in ground flagpole, Fiberglass Commercial Flagpoles, fiberglass flagpoles, Flag and Flagpoles, Flag-Works, flagpol, flagpoles, in-ground flagpoles, Residential Fiberglass Flagpoles on May 28, 2016 by admin. Durability and Quality. 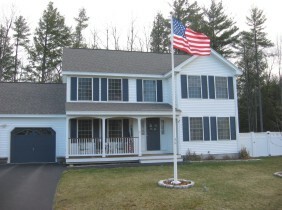 That’s what customers look for when deciding upon a pole set to proudly fly the flag year-round. 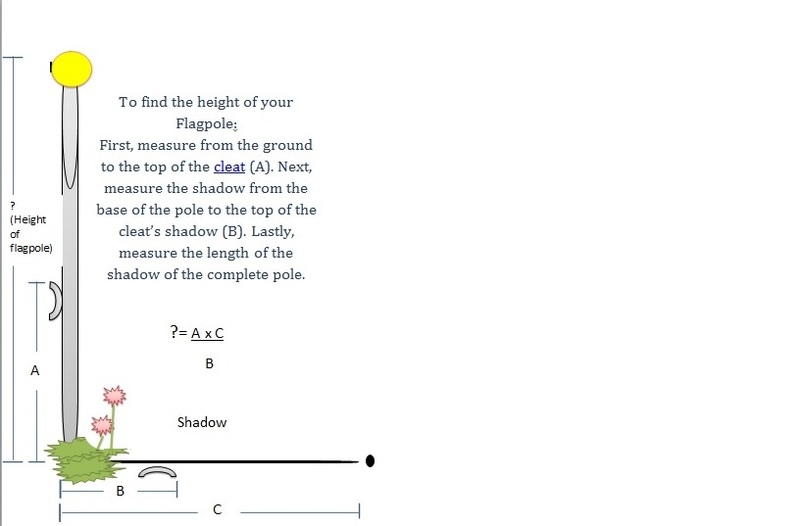 Our pole is 40% stronger than other poles in its class. 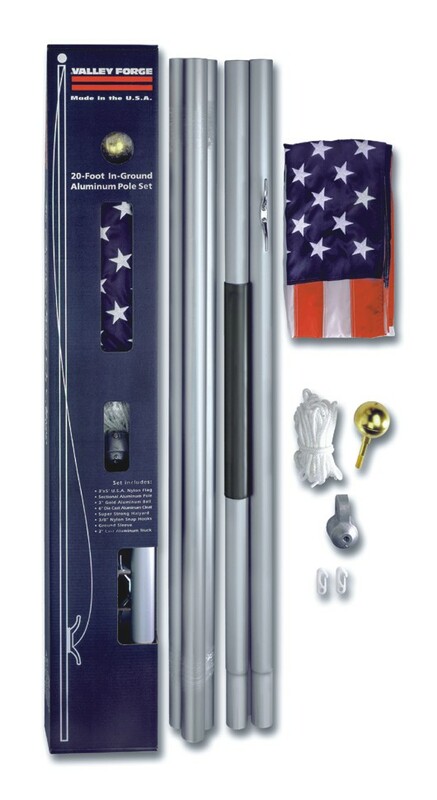 Value is what you will find with this In-ground Aluminum Pole set. 16 gauge x 2″ O.D. aluminum pole with satin anodized finish. 6″ die cast aluminum cleat. 2″ cast aluminum truck with nylon pulley. 16 gauge x 2 1/2″ O.D. aluminum pole with satin anodized finish. 2 1/2″ cast aluminum truck with nylon pulley. Flag Works has them in stock. They are GREAT Christmas Gifts. You still have time to order!!! Orders will need to be in by 12/16 to be there by Christmas!!!!!! Visit our website or come into our retail store. 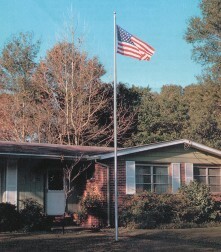 This entry was posted in Flagpoles and tagged 20' aluminum flagpole, 20' aluminum flagpole kit, 25' aluminum flagpole, 25' aluminum flagpole kit, aluminum flagpole kit, aluminum flagpoles, aluminum in ground flagpole, American Flag with in ground flagpole, commander aluminum poles, Flagpoles kit, in-ground flagpoles on December 10, 2015 by admin.